Ross Scanlon is the youngest of five siblings, all of whom attended St Kilian's. Kevin, John Joe, Michelle and Leanne all preceded him at the school. Recently hailed by The Irish Times as Ireland’s “… most promising young Irish Tenor heard in years…” 25 year old Tenor Ross Scanlon is in constant demand on the Operatic, Oratorio and Concert platform. He now lives and studies in London at the Royal Academy of Music Opera School. He completed his Leaving Cert at St Kilians's in 2005 and later graduated from the D.I.T Conservatory of Music and Drama, with a First Class Honours BMus degree and the DIT Michael McNamara Gold Medal for excellence in performance. Opera Roles include Tamino & Monostatos The Magic Flute, Remendado Carmen, Lord Lieutenant, Master of the Rolls and Skeffington The Earl of Kildare (Irish Premiere), Pierre The Wandering Scholar (Irish Premiere) and Midas Midas. 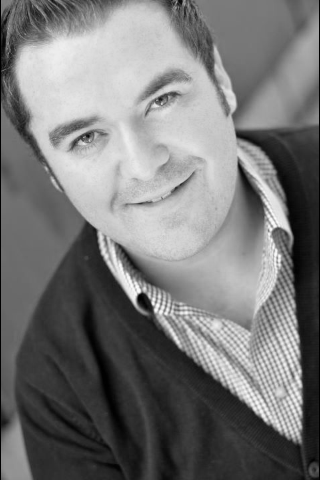 Ross was a Young Associate Artist for the 2009/10 season with the Opera Theatre Company Dublin. Oratorio performances include Handel’s Messiah, Alexander’s Feast and Coronation Anthems, Haydn Die Jahreszeiten, The Creation and Missa in Tempore Belli, Mendelssohn Elijah and St Paul, Stainer Crucifixion, Mozart’s Vesperae Solemnes de Confessore and Coronation Mass, Schubert’s Mass in B flat, Jenkins ‘The Armed Man – A Mass for Peace’ and Goodall’s Eternal Light – A Requiem (Irish Premiere). Ross has also performed with the R.T.E Concert Orchestra and Irish Philharmonic Orchestra. Ross has won the Thomas Moore Cup, the Tenor Solo Cup and Gold Medal, and the prestigious Count John McCormack Cup and Silver Medal for overall best male singer at the Feis Ceoil, Ireland. He has also been the recipient of the Bray Endeavour Culture and Arts Award, and the John McCormack Society Young Artist Bursary. As part of the successful group 'The Young Irish Tenors', Ross performed with Colm Wilkinson and Rebecca Storm as well as recording for R.T.E television. He has also sung, on numerous occasions, for the past President of Ireland, Mary McAleese. Ross' parents, John and Noreen, both work at St Kilian's Community School.